Couristan Vintage Collection Antique Ardebil Pebble Beige Area Rugs Antique Ardebil Pebble Beige / 2' x 3'7"
Antique Ardebil Pebble Beige / 2' x 3'7"
Discover the captivating allure of the Vintage Collection, a stunningly unique selection of area rugs from Couristan. 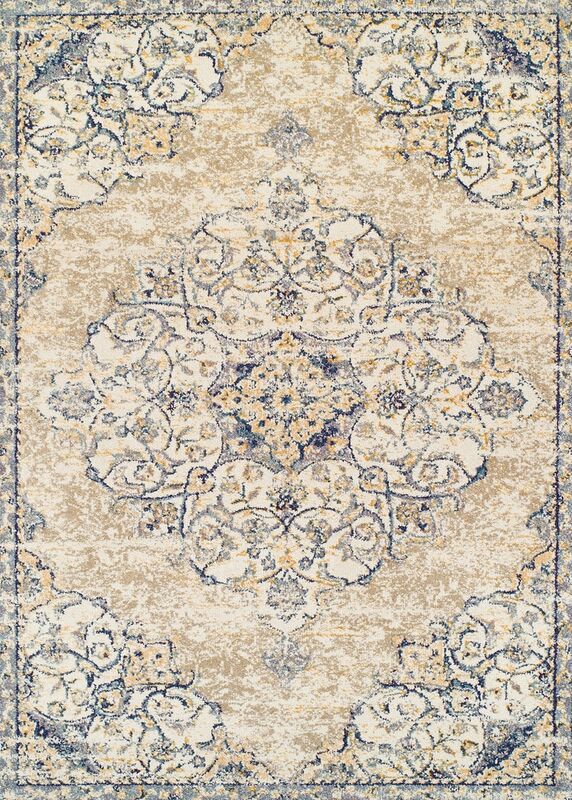 Inspired by traditional floorcovering motifs, these masterpieces of Persian decent are colored using modern hues that have been chosen to instantly add a distinctive focal point to any room-setting. Each of the designs in this artfully crafted collection features a color range of deep and contrasting hues that blend together to create a fashionably dramatic look. Face-to-face Wilton woven with a highly-advanced power-loomed technique, these area rugs are made of a unique blend of heat-set frieze polypropylene and polyester. This lavishly soft blend of fibers works well in rooms with significant foot traffic as it resists wearing and permanent stains. The collection's thick pile features a plush finish that replicates the look of true handmade area rugs. With a fresh take on elements of traditional area rug design and the added benefit of up to 17 sophisticated colors in each area rug, the Vintage Collection is the perfect way to marry an eclectic personal style of traditional, yet modern appeal.